This report sets out relevant performance statistics of the ATP TOP 100. (Ranking updated to November 25, 2018). The analysis covers the period from 01.01.2018 to 11.25.2018. For ATP are included the ATP World Tour 250, 500, ATP World Tour Masters 1000, Next Gen ATP Finals and Nitto ATP Finals. For the ITF are included Australian Open, Roland Garros, Wimbledon, US Open and the Davis Cup. 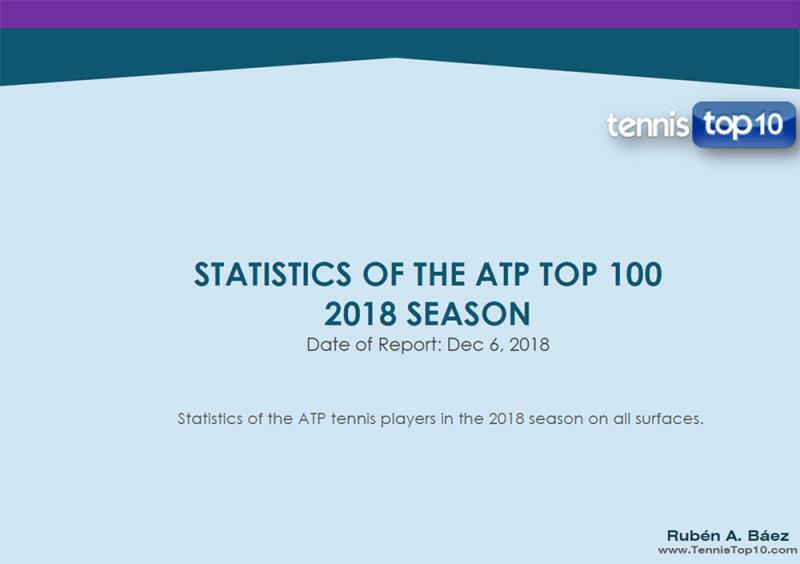 The statistics from the tournament’s classifications (Including the Grand Slams) and the others ATP tournaments are not included in this report. Also, are included the played matches at the Laver Cup (Tournament exhibition).